What did the past sound like, taste like, smell like? How did it look and feel? How did people make sense of the world through their senses? These are questions which are increasingly capturing the interest of historians. A Cultural History of the Senses delves into the sensory foundations of Western civilization, taking a comprehensive period-by-period approach, which provides a broad understanding of the life of the senses from antiquity to the modern day. The volumes treat such topics as the sensory markers of gender and class, the aesthetic dimensions of material culture, religious sensibilities, the medical uses of the senses and their representation in art and literature. These investigations bring out the sensations and values which defined experience in a particular era and shaped the world view of the time. With contributions from such prominent scholars as Peter Burke, Alain Corbin, Andrew Wallace-Hadrill and Chris Woolgar, A Cultural History of the Senses sets the stage for a vital new way of understanding the past. Each volume discusses the same themes in its chapters: The Social Life of the Senses; Urban Sensations; The Senses in the Marketplace; The Senses in Religion; The Senses in Philosophy and Science; Medicine and the Senses; The Senses in Literature; Art and the Senses; and Sensory Media. This structure means that readers can either have a broad overview of a period or follow a theme through history by reading the relevant chapter in each volume. 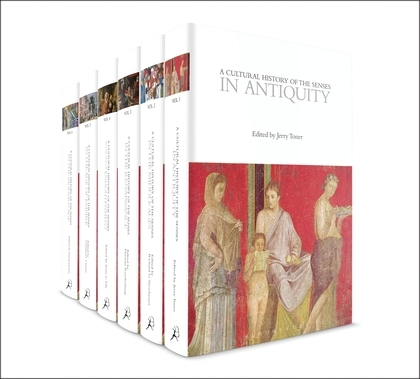 Superbly illustrated, the full six volume set combines to present the most authoritative and comprehensive survey available on the senses in history. More information can be found here.